The BBC has a predictable story this morning about whether Scotland will have its own team at the London Olympics. Which is a silly season story, a slow-news-day-story, a non story. First of all, it is quite possible that by 2012 Scotland will be irrevocably on the road to independence. We should have had a referendum before then, but even if the unionist parties block it we will have both Holyrood and Westminster elections before then, and it is entirely possible under present circumstances that the SNP will gain an absolute majority of Scottish seats in both. In any of those cases, of course there will be a separate Scottish team at the London olympics. On the other hand, if Scotland fails to choose independence, of course there won't. It's as simple as that. But there's a deeper, nastier chauvinism behind the story. The British media - the BBC inter alia, although they may not be the worst offenders - have been making a big deal about 'Team GB' coming fourth in the 'medal table' as if that somehow reflected credit on the second most obese nation in the world, the nation of lard arsed couch potatoes whose nearest approach to athleticism is the five-metre waddle from the double yellow line to the pizza counter. Scotland shouldn't have its own team, runs the argument, because if it did 'Team GB' might not come fourth in the table. But look at that medal table, and what do you see? You see big, populous countries at the top. If you adjust it by population, suddenly 'Team GB' is not fourth but twenty second. Russia was not third but thirty-sixth. The United States were not second but forty-fourth. China was not first but sixty-sixth. If there is credit due to nations for their athletes' success, it goes to Dutch Antilles and Jamaica, with far and away the highest ratio of medals to population. The best performers among the European nations were Slovenia, Norway, Estonia and Latvia - all smaller than Scotland. And Australia - about whose relative 'failure' the BBC has been crowing - did substantially better than 'Team GB', at sixth. But do nations deserve credit, and if so why? These athletes are extraordinary individuals, and their successes are individual successes. Let's stop to consider where the credit lies for Scotland's performance. I don't yet know - because it's not in all cases obvious which athletes are 'Scottish' - how well Scotland performed. 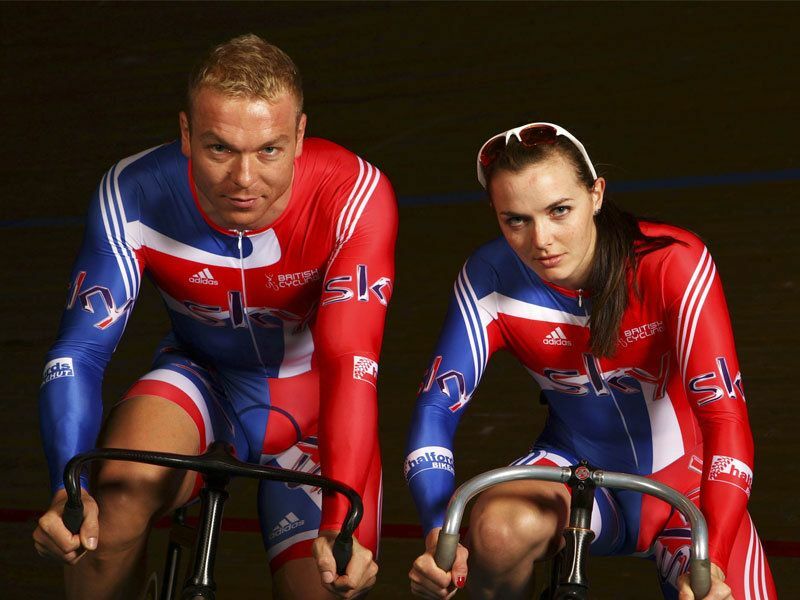 But our outstanding athlete was Chris Hoy. Where did he develop his talent? Meadowbank Velodrome. What is Scotland doing to celebrate? Demolishing it. To say 'yes, but we're also building one in Glasgow' is no excuse. That a city the size of Edinburgh has nowhere for young cyclists to race in safety is quite simply a scandal. So what's this about racing - and training - in safety? Jason McIntyre should have been another of Scotland's athletes competing for medals in Beijing, but he couldn't make it - because 'Team GB' couldn't give him a safe environment to train, because Britain's casualness about driving standards casually killed him. And while the team were out in Beijing, Davy McCall, who represented Northern Ireland at the 1998 Commonwealth Games in Kuala Lumpur, was killed in exactly the same way. This is how Team GB supports our elite athletes: we kill them. Our athletes have done extraordinary things. They deserve enormous credit. But they've by and large done extraordinary things in spite of, rather than because of, the support (or lack of it) we've given them. Politicians - of any party, even mine - who try to take credit for the achievements of Chris Hoy need also to take responsibility for the death of Jason McIntyre. Where are our next generation of elite cyclists going to come from, if we demolish the velodromes and treat the slaughter of cyclists by motorists as a peccadillo? Yes, but how did Scotland do? So, after the rant about how bad chauvinism is and how credit for the achievment rests with the individual rather than the nation, how did Scotland do? Well, one person won all our gold medals. Step forward Sir Chris - without you Scotland would have had a very thin haul. Without Meadowbank Velodrome, indeed, we wouldn't have had two thirds of our medals, because one of 'our' three silvers came from Ross Edgar. If Chris Hoy, rather than Jason McIntyre, had gone under the wheels of a careless motorist this spring, we'd have had no golds at all. For the rest, Katherine Grainger brought us a rowing silver - but as part of a crew of four the rest of whom were not Scots. David Florence won a silver canoeing. And that's it; that's all, folks. Six medals, four in the velodrome, two on the water. Three gold, three silver. And, arguably, two which an independent Scotland would not have got, since one of Hoy's and Grainger's came in team events with non-Scots making up the bulk of the team. So how does that compare? 'Team GB' scored 1 medal for every 1.3 million people - as against China's 1 medal for every 13 million people or Jamaica's one medal for every 250 thousand. Team GB scored one gold for every 3.21 million, as against China's one gold for every 26 million or Jamaica's one gold for every 450 thousand. If you consider 'pure' Scottish medals only, leaving out Hoy's team sprint and Grainger's sculls, Scots athletes bring home one medal for every 1.28 million Scots - marginally better than Team GB - and one gold for every 2.55 million Scots, considerably better than Team GB. If you count all the Scottish athletes' medals, Scotland has one medal for every 850,000 people, and one gold for every 1.7 million. Looking at medals score and bragging rights and all the chauvinist claptrap alone, Scotland has no reason not to fly our own flag at the next olympics. We do have the talent.